Alert Janeite Nan sent a press release with the comment, “How cool is this?” We say, pretty darn cool! 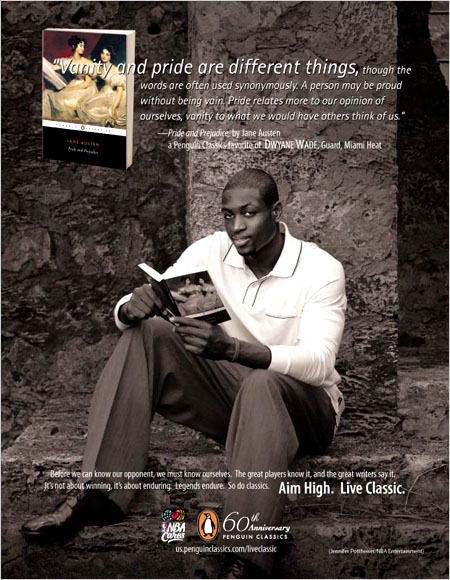 The project began when Penguin Classics and the NBA asked Wade to help celebrate the 60th Anniversary of Penguin Classics and NBA Cares “Read to Achieve” Literacy Initiative by choosing a classic title. 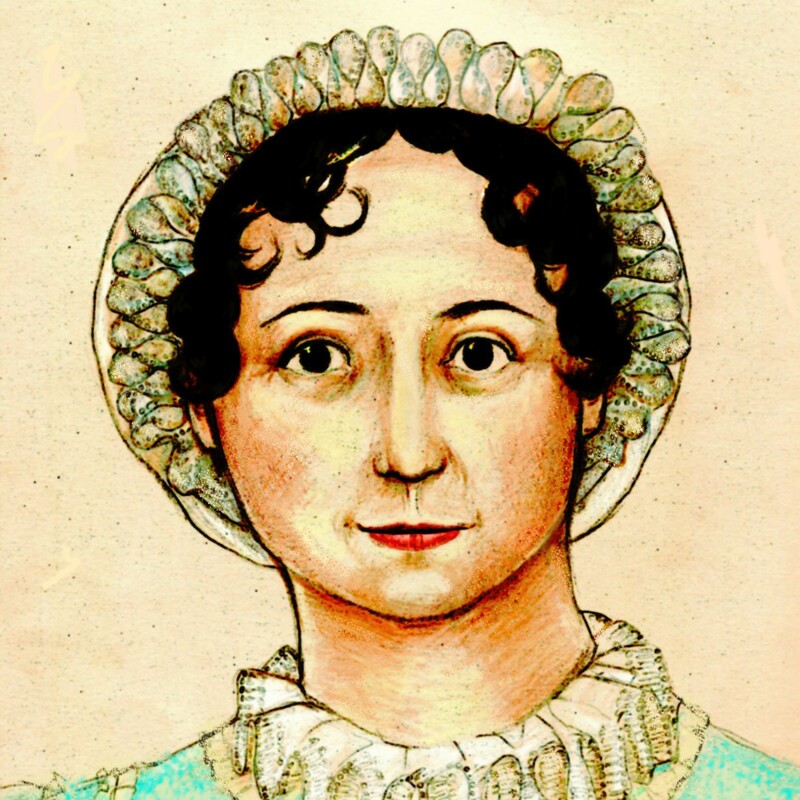 Wade selected Jane Austen’s Pride and Prejudice as his favorite Penguin Classic. Other NBA stars chose some great books as well: Siddhartha by Herman Hesse, The Crucible by Arthur Miller, and Narrative of My Life as a Slave by Frederick Douglass. The event is free and open to the public; seating is first come, first served. Check out the press release for details. ETA: Alert Janeite Robyn wrote to tell us that the Penguin Classics US Web site has an expanded quote from Dwyane and a PDF of the poster so you can print it yourself.